These are the three key elements of digital transformation: transforming customer experience (top-line growth, customer touchpoints, customer understanding), transforming operational processes (worker enablement, performance management, process digitization), and transforming business models (creation of new digital businesses, digital globalization, digital modifications to the business). There are a lot of urban legends and myths surrounding enterprise digital transformation. Let us take a look at some of them. A common prevailing myth is that digital transformation is all about technology and this is the top priority. Nothing could be further from the truth. Digital is a way of reimagining how business is to be done across a company. Though fundamentally driven by technology, digital transformation is all about transforming business processes, products and services, human resourcing methods, business models, and organizational structures. Technology here is a tool, a means to a greater end. Take for instance an organization that wants to implement wireless printing across all its business units. Sure, the solution at its core would be a technology solution, but the point is that it is about enabling the business objective called wireless printing. Once again, this is also a prominent urban legend that any organization that is looking to implement enterprise digital transformation has to have a chief digital officer. Bear in mind that a CDO should not be made accountable for digital strategy. And if you are looking for a CDO, you probably do not want to hire Harry Solomon from "3rd Rock from the Sun." Your organization could be in trouble if you make that type of mistake! The CEO himself should hold accountability for all digital strategy. This is owing to the fact that digital technology impacts the entire enterprise on a vehicle called technology. Sort of like English hits all subjects on a college campus. No matter what subject you choose to study, English will be the language you speak in those classes and read in those books (well, unless you choose to major in French!). 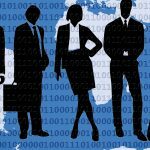 A chief digital officer may or may not be needed, depending on the exact circumstances of the company at hand. 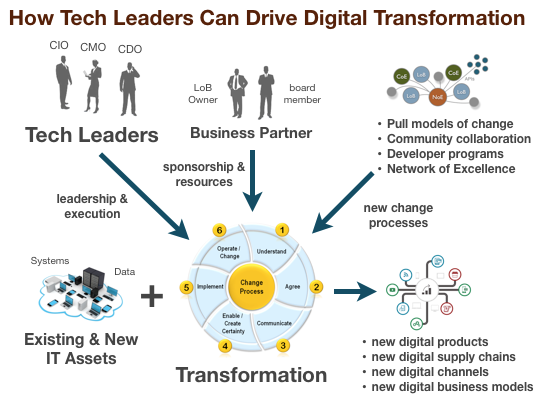 In many cases, you may be able to have the CIO handle the execution of digital strategy. Digital is a process that would impact all your existing ways of doing business in every part of your organization in a large-scale manner. While you may think that, based on your client feedback, that you are dealing with customers in an excellent way and in a manner that engenders client satisfaction, the fact of the matter is that it does not really give you the license to avoid internal change. For instance, consider the fact that you are going to give each of your field sales staff a tablet with access to all the cloud-based reference sources needed. Your field sales staff may already be doing an excellent job. However, with the kind of change that digital is going to bring to their work, you will need a significant amount of training to be done for them to ensure high performance going forward. If Steven Urkel from “Family Matters” is on your sales staff, the best training in the world may not be good enough! But actually someone like Urkel may be the one giving this type of training! The way in which digital is transforming the marketplace means that you simply cannot rest on your past laurels. Consider a company like Airbnb or Uber -- they don’t get any more digital than that. They came out of nowhere and have completely disrupted the market in a manner that you would not even have imagined two years back. Welcome to the new world. Taxi drivers all over the country now have a serious threat! Here, you may have a tiny little upstart with a salient idea and loads of financial support that takes more than 20 percent of the market virtually overnight (only six months!). Being an industry leader does not permit you to believe that the same leadership position will continue going forward. Make no mistake about it, digital is as much of a disruptor for vendors as it is for client organizations that they serve. It would be appropriate not to trust the consultant’s wisdom unquestioningly. Instead, gather facts and figures from across your organization. Talk to all the vertical, geography, and horizontal leaders. Gather all your information so that you will be in a position to take some admittedly excellent guidance from the consulting firm and parlay that into a set of methods that would suit your company the best. After all, who would know your company better than yourself? You do not want to rely so much on someone else or some other entity. Just as it is true that an industry leader cannot afford to ignore digital transformation just because they are an industry leader, the other side is also true. It is not that every company must execute digital transformation. Before exploring the possibilities of enterprise digital transformation, a lot of groundwork needs to be done within the organization to ensure that your organization is prepared to face the realities of digital. As the first step, you need to ensure that your company is up to the task of creating digital models that fully describe all the complexity of your procedures. If you cannot model all your business processes, your company will in all likelihood not be able to do well at digital transformation. It is not necessarily true that digital transformation should automatically mean the use of disruptive or super new technologies fresh out of the oven. 3D printing may not be necessary! Most of the successive disruptors in today’s market like Uber and Airbnb employ fairly medium complexity software on an up-to-date but not necessarily hot technology platform. The essence of the innovation is in the idea itself and how it integrates various types of technologies, rather than in the technology itself. Well-established technology platforms, in fact, often have a leg up by having demonstrated performance at scale. 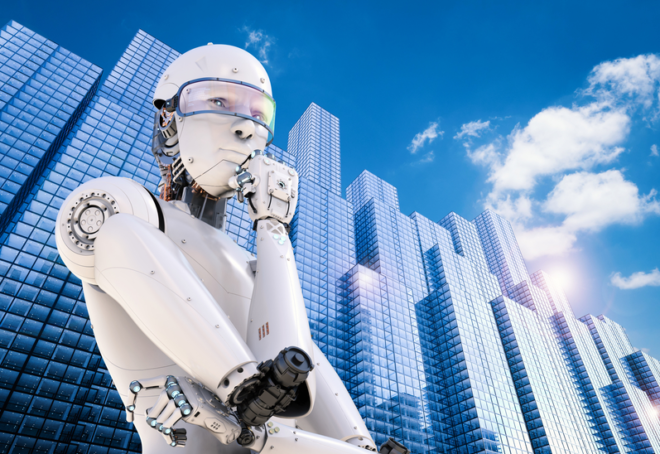 It is one more urban legend that only the most profitable and successful companies are most likely to launch digital transformation programs. Think about it, if a company is successful, how much hunger would be there with senior management to pursue drastic transformation? Not a whole lot. Whereas, companies that are not leaders and dripping in red ink are much more likely to pursue digital transformation as a means of catching up with industry leaders. Unless you’re Jesse Pinkman from “Breaking Bad,” then you are OK with being status quo, and since no one else works for you, or just a couple of unambitious people, that you are just fine where you are at! But any other business or department, certainly one that employs people, should always want to do better if there is a logical way to achieve that.